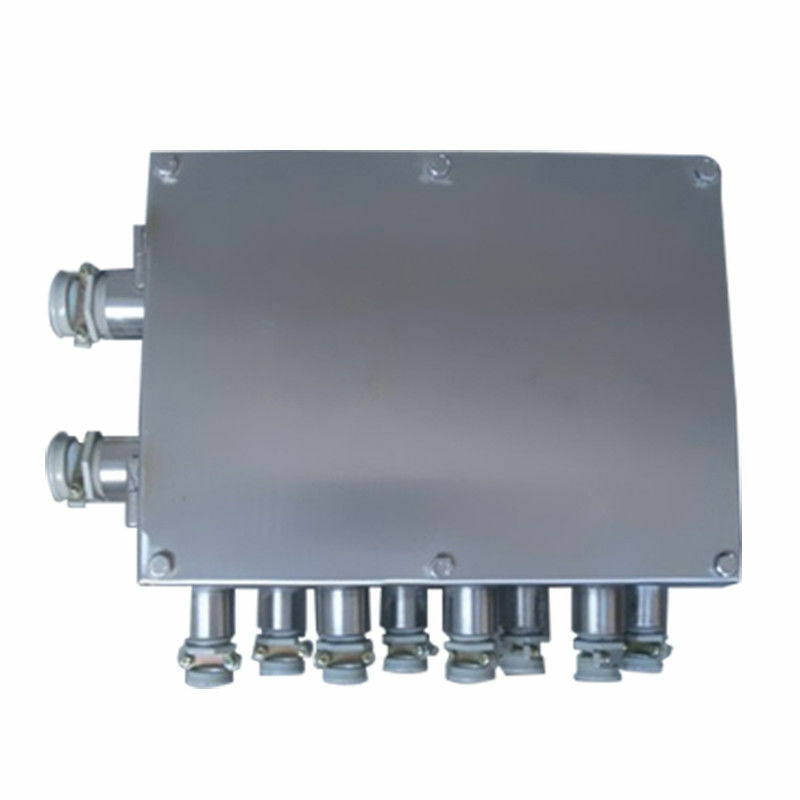 Explosion proof junction box with the GB3836 explosion-proof 2000 regulation, flameproof, made its mark is ExdIIB explosion. Applicable to contain type IIA, IIB, the corresponding temperature classes with explosive air mixture of district 1, 2 division places. Zone 20: Combustible dust continuously or frequently occurs during normal operation in an amount sufficient to form a mixture of flammable dust and air and/or a location and container interior that may form an uncontrollable and extremely thick dust layer. Zone 21: During normal operation, there may be a place where the amount of dust is sufficient to form a mixture of flammable dust and air but not zoned 20. This area includes locations directly adjacent to the charge or discharge of dust, where dust layers and flammable concentrations of flammable dust and air may be produced under normal operating conditions. Zone 22: Under abnormal conditions, flammable dust clouds occur occasionally and are only present for a short period of time, or flammable dust occasionally accumulates or may present a dust layer and produce a flammable dust air mixture but not zoned into Zone 21. If it is not guaranteed to exclude flammable dust accumulation or dust layer, it should be divided into 21 zones.